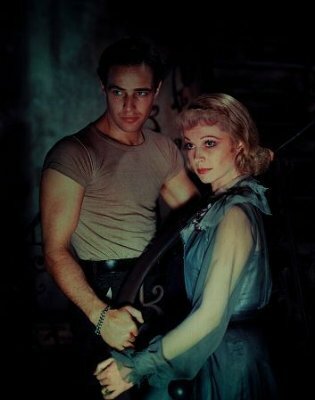 Despite the pessimism of Part II, there are plenty of things to be excited about with regard to fashion/style blogging. Although real and constructed divisions remain between what counts as legitimate/professional writing and amateur blathering, the lines between them are increasingly blurred. Bloggers do produce knowledge and opinions about fashion, style, design, and modes of consumption that the fashion industry, independent designers, retail firms, and advertisers have good reason to heed especially since some blogs get as many as 15,000-20,000 hits per day. It is due to the industry’s recognition of bloggers’ informal but no less powerful influence and insight that fashion and design firms are turning to bloggers as knowledgeable fashion enthusiasts. In this way, bloggers play a crucial role in producing and shaping culture. Further, the burgeoning numbers of academic fashion/style blogs—blogs maintained by cultural and social theorists—demonstrate the blurring of lines between academic and public discourse. 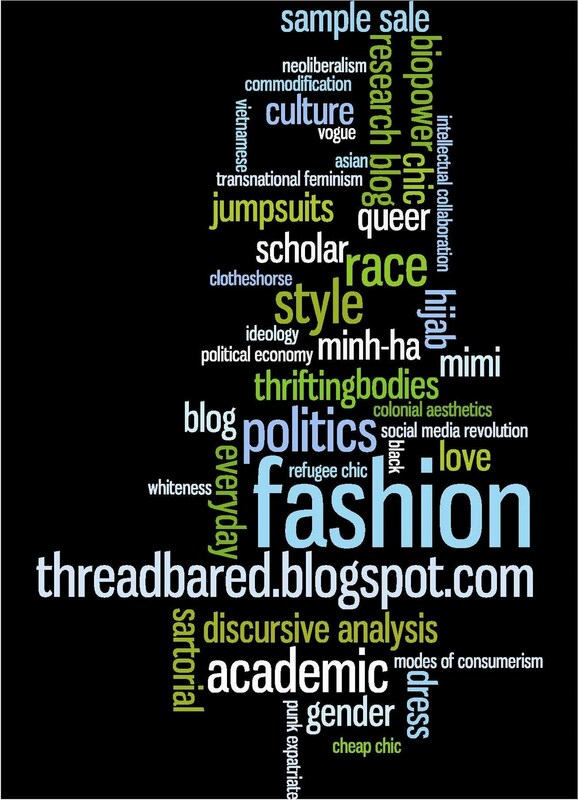 Threadbared, as with some of our favorite academic fashion/style blogs such as LipstickEater, Fashion Projects, and Fashion for Writers intends to bring intellectual praxis out of academia and into everyday sites of culture, feelings, and sociality. Simultaneously, as we discussed in an earlier post focusing on the uneasy relationship between fashion and academia, academics who blog about fashion or other arenas of popular culture, demonstrate the diversity and heterogeneity of scholarly modes of production as well as reveal how the personal and the informal (i.e., feelings and fixations) constitute rather than inhibit intellectual engagements. Unfortunately, research on the politics of blogging and the blogosphere rarely attend to blogs about fashion and instead focus on political blogs, first and foremost. Blogging during the 2004 Democratic and Republican National Conventions is an especially popular subject. Because mainstream political blogs are predominantly maintained by men, these scholars skew the actual picture of the blogosphere making it seem male-dominated when we know from demographics research that slightly more women have blogs than men (though most researchers agree that the difference is so small that it is statistically insignificant) and most female-run blogs are maintained for longer periods of time. A narrow understanding of political participation misses the heterogeneous and informal modes of cultural politics that many people who feel disenfranchised from formal politics participate in as well as denies the organizational and mobilizing power of blogs for youth, artists, and diasporic communities. Moreover, it tacitly reinscribes a “separate spheres” division between consumption/production and culture/politics that have historically been organized in gendered terms. In these studies, the blogger is a politically efficacious subject—if they are granted political consciousness at all—only when they are blogging about “formal” politics (electoral politics, etc.). The ideal blogger is imagined in relation and resemblance to the ideal (male) political worker. Not only is the political work of culture unintelligible in this framework, culture is implicitly connected to (women’s) mass deception and mass consumption. 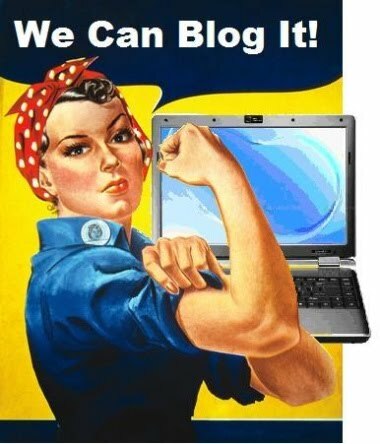 For example, Jodi Dean argues that bloggers “[believe] in the importance of their contributions, presuming that there are readers for their blogs” and that this communication makes a difference when in fact, such practices, though pleasurable, “displace political energy from the hard work of organizing and struggle.” While Dean believes that pleasure and politics are mutually exclusive, Nan Enstad’s fabulous study of the ways in which 19th century working women used cultural practices like dressing fashionably and reading romance novels “to lay claim to dignified identities as workers . . . [and] to claim formal political status” is exemplary of how cultural practices and political praxis have long been intertwined. Blogging about fashion and style, like fashion itself, can be (and absolutely has been for us) an immensely joyful endeavor because we get to think about fashion and engage with both academic and nonacademic linkers and thinkers across the globe whose intellectual curiosities fuel ours. These pleasures and cultural practices are not insignificant even while they are circumscribed and clipped by the hierarchical and capitalist structures of the internet outlined by Dean. The question may not be whether blogging and the internet is democratic but rather how have fashion/style bloggers, even within difficult and anti-democratic conditions, produced meanings and practices about political action, self-construction, material and immaterial consumption in a context of global neoliberal capitalism, and the politics of sociality that change or clarify dominant systems of race, gender, sexuality, and class? While the form, function, and meanings of blogs vary widely, most operate through horizontal communication or what is sometimes called “distributed conversation” between bloggers and readers. Indeed, these categories are mutually constitutive rather than dialectic. Bloggers read other blogs and readers typically have their own blogs or are inspired to begin them in short time. Reader commentary, linkages, blogrolls, and cross-posts maintain the open, participatory, and dialogic nature of blogging that, for many, exemplify the internet’s democratization of knowledge and communication. In our other world of academia, we have seen and benefited from the collaborative capacity of blogs as virtual research centers hosting renowned scholars via podcast and webcast as well as digital and public research journals where colleagues can share and discuss new research while sitting in offices, living rooms, airports, and cafes hundreds of miles apart from each other. Such online scholarly communications can sometimes be much easier to maintain and more constructive than the “real” and often frenzied meetings and interactions we have within our departments, our classrooms, or at our annual association conferences. In fashion, democratization has emerged in unstable fits and bursts since its inception. In 1675, the invention and popularization of the “manteau” or “mantua” (a loose-fitting housedress) inaugurated the sartorial trend of “dressing down” which allowed women to break with sumptuary laws that had for centuries maintained and secured class distinctions by dictating who could wear what. As Joan DeJean explains in her book, The Essence of Style, “The mantua meant that for the first time a woman’s outfit did not function as an absolute class marker: from then on, it was far less easy to know at a glance who belonged where on the social spectrum.” Other democratizing moments in fashion include the invention of the mechanical sewing machine and standardized dress patterns that facilitated the production of clothes for middle class women’s mass consumption; the introduction of pret-a-porter fashion or ready-to-wear clothing by Charles Fredrick Worth, the “father of haute couture” and — following him — prestigious designers such as Jeanne Paquin, Paul Poiret, Madeleine Vionnet, and Coco Chanel; Mary Quant’s invention of the miniskirt in the 1960s that incorporated the “low” aesthetic sensitibilities of go-go dancers into high fashion designs produced for mass consumption; as well as the “anti-fashion” ethos of hippies, punks, neo-punks, and cyber punks in the 1970s and 1980s that leaked into fashion’s mainstream through designers like Yves Saint Laurent. So-called masstige partnerships (in which a celebrity or celebrity designer teams up with a mass market retailer to create a designer collection) like Jaclyn Smith for Kmart (1985), Martha Stewart for Kmart (1997), Randolph Duke for the Home Shopping Network (1998), and Mossimo for Target (2000) are also recognized as significant moments in the democratization of fashion and design. Michelle Obama’s preference for emergent designers and mass-market fashion has helped to institutionalize the narrative of fashion’s democratization most recently. An article posted on the website, The Business of Fashion, expresses just this concern about the homogeneous content and message of so many blogs. “Are these bloggers really offering any unique expertise or vantage point that adds to the fashion dialogue? Some (though not all) of these bloggers appear to be more focused on themselves and on the celebrities in the front row than on the fashions on the runway. Unique opinions are few and far between.” In this way, blogs are not entirely the independent space of knowledge production and equal access imagined by the term “democratization.” Instead, they exemplify the integration and saturation of dominant culture into the private spaces of home offices, bedrooms, and neighborhood cafes from whence bloggers post and read. Another anti-democratic reality of fashion blogging and to a lesser degree, style blogging, is the fact that a large majority of bloggers post about major fashion events and prominent designers without receiving any compensation or professional recognition from the multi-billion dollar global fashion industry whose material and cultural power it helps to secure. Bloggers produce free labor for the fashion industry without any material benefit and often at a personally-absorbed cost of time and energy to themselves. But fashion and blogging (and blogging about fashion) remain popular activities because they both contain and promise the allure of transformation through the care and management of one’s body and one’s image. It is in this way that fashion and fashion blogging are “technologies of the self,” a term Foucault uses to describe the everyday processes and practices that individuals engage in to constitute themselves as particular kinds of subjects–here, fashionable, cosmopolitan, modern, innovative, and attractive subjects. Fashion and blogging are especially appealing technologies of the self because of their democratizing promise that anyone (but especially women, in the context of fashion) can be “someone,” that a fashion outsider can be a fashion insider, and that prestige and privilege are available to and accessible by everyone. We see this discourse operating in the now all-too familiar narrative of the awkward but eccentrically dressed geek turned star blogger. These technologies, Foucault tells us, are interlinked with the control and governmentalization of bodies within dominant systems of power like capitalism which operates through commodity accumulation and the desire for the good life which commodities are imagined to bring. 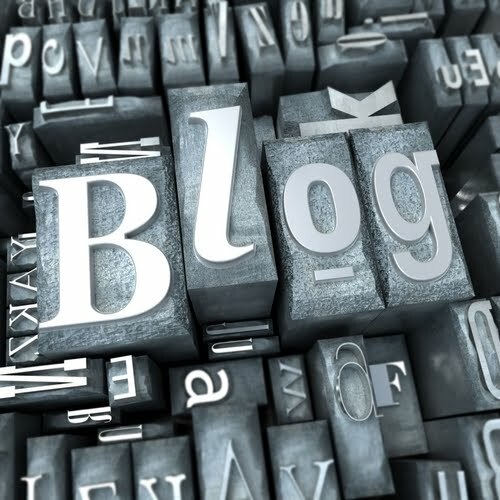 One estimate suggests that there are 100 million blogs worldwide. the tiniest fraction of these blogs–about 800–are dedicated to celebrity, street, couture, luxury, indie, mass-produced, masstige, vintage, and eco fashion and style. But these are only estimates. There are no precise numbers because there’s no single-accepted definition of the form and function of blogs. Blogs might be personal, informal, public, referential, and participatory (through link trackbacks and reader commentary), or they might be commercial devices of promotion and marketing and information clearinghouses that are restricted to registered users or they might incorporate several of these qualities. Also, surveys of blogs usually miss those that don’t use “host” systems like blogspot or LiveJournal while accidentally counting abandoned blogs (as many as 45% of blogs are “static, abandoned web pages”) and spam blogs (so-called splogs account for about 9% of the blogosphere). Classificatory distinctions between fashion blogs and style blogs are also unclear–many bloggers and readers use the terms interchangeably. For our purposes, we understand these genres as overlapping but also recognize that there are significant distinctions between their focus and form. Fashion blogs report on and often celebrate fashion commodities, the fashion industry, and fashion celebrities; style blogs celebrate, critique, and at times criticize the aesthetic, cultural, political, and economic style or mode by which fashion forms are produced, expressed, and circulated across a wide range of industry and everyday sites. Despite the relatively small number of fashion/style blogs, their impact on the fashion scene is undeniable. This is illustrated most clearly in the incorporation of bloggers into the fashion industry. Today, many bloggers are also credentialed journalists. Eighty bloggers received invitations for New York Fashion Week in September 2009–up from 40 in 2006. The fashion press has also embraced bloggers, featuring them as editorial subjects (i.e., Harper’s Bazaar September 2007; Elle UK September 2009; Sketchbook October 2009) as well as hiring them as photographers and writers. Schuman’s illustrious blog, The Sartorialist, has led to numerous jobs for GQ and Esquire, for example, and “the reigning queen of the fashion blogosphere,” Lau was recruited by Dazed Digital to be their commissioning editor. Meanwhile, fashion and design companies are turning more and more to bloggers as insightful and discerning trend forecasters, cool aggregators, and unofficial promoters. In 2007, the Chanel Company invited 12 bloggers to Paris for a weekend of discovering “the history and iconic places of Chanel.” Lau stresses on her blog “that there was no obligation to do blog reportage but for me along with most of the bloggers I think, it would have been criminal not to blog about the wonderful experiences we had.” No doubt, the executives at Chanel were counting on this unspoken social contract . Young and popular bloggers posting about this institution of fashion both lends Chanel hipster credibility as well as garners relatively inexpensive and global marketing. Some, like Tyler Laswell, disparage the fashion/style blogging phenomenon: “It’s really sad that the fashion business has turned into a world of bloggers . . . everyone has become so taken up with living in a world of immediate satisfaction. Nobody wants to wait for the beauty in the magazines . . . where the editors truly do their homework and fact-check everything.” The perspective that bloggers are sloppy with the facts and are more interested in self-promotion and “mass exhibitionism” leads Andrew Keen to blame bloggers for “transforming culture into cacophony” in his book, The Cult of the Amateur. Keen’s description of blogging as cacophony hints at the conservative gender politics of blogging. Detractors denigrate blogging and their practitioners for not embodying the “seriousness of purpose, sensibility, and rational self-directedness” that are perceived by the patriarchal and masculinist mainstream to be indicators of intelligence and proper forms of journalistic work. That is to say, bloggers (imagined as self-absorbed, gossipy, and superficial) are silly because they are feminine. A 2003 study done by Perseus Development, a research firm and maker of software for surveys, diminishes the cultural and social import of blogs by describing “the typical blog [as] written by a teenage girl who uses it twice a month to update her friends.” Perseus’ snide dismissal of bloggers demonstrates a blatant disregard for recent history. In 2002, it was bloggers that forced Trent Lott to be taken to task for praising Strom Thurmond’s segregationist history when too many politicians wanted to forgive and forget and in 2004, bloggers would again transform public discourse by discovering and making public the forged Air National Guard documents that launched Rathergate. And in 2006, gossip bloggers would take credit and be credited for the demise of Tom Cruise’s star power and the transformation of Hollywood’s system of star production altogether. Democratization is probably the most widely shared interpretation of the fashion/style blogging phenomenon. But does fashion/style blogging really signal a uniquely radical moment in fashion history? 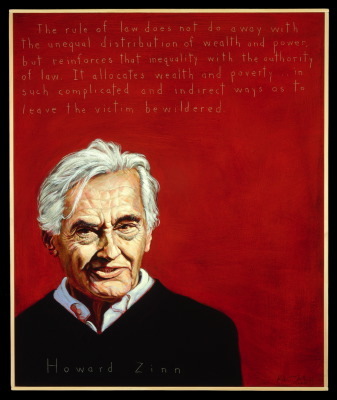 And is democratization really democratic? Does it matter? To read our answers to these questions, click on OF/SB, part II: Blog in the Machine of Democracy. To jump to OF/SB, Part III: Blog Ambition, click here. To go back to On the Fashion/Style Blog: Intro, click here.